It’s time to snuggle up with a blanket and a good book, and this month’s book is a different one for us here at 44Book Club. Author Bill Gobin appeared in court more than 30 times, battling for custody of his daughters, and he’s used what he learned to help others. We are in the middle of the worst co-parenting crisis ever and our children are losing, BIG TIME! People are more selfish, lost, and out of control than ever before. Children are being robbed of fulfilling lives and they are being robbed by their own parents! If you have children and you are now divorced, if you were in a relationship that resulted in a child or children and it ended, or if you had a one-night stand that resulted in a child, you are one of two types of parents WITHOUT EXCEPTION. You are either a co-parent or a counter-parent. Both types of parents will have LASTING EFFECTS on they type of adults children will become. Both types of parent’s behavior will have an immeasurable effect on the quality of life their children get to live and relationships they will be able to build for the rest of their lives. If you’re a parent, this book is perfect for you. 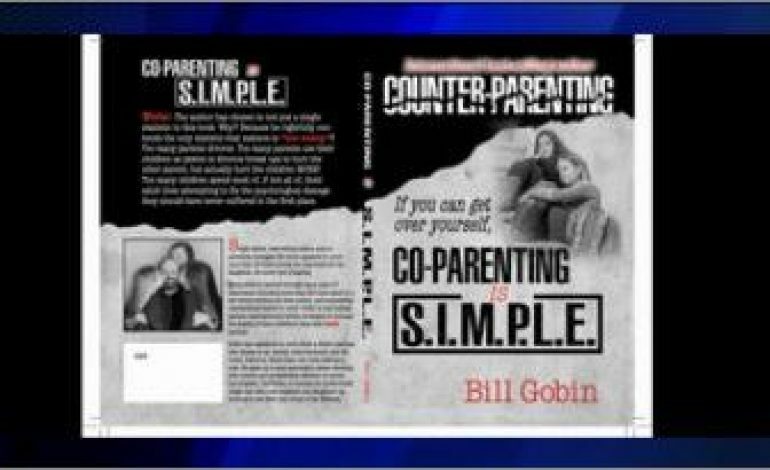 Find Co-Parenting is S.I.M.P.L.E online at billgobin.com, and grab a copy. Explore co-parenting versus counter-parenting, and learn new strategies to deal with the issue. When you do read it, shoot me an email with your thoughts (girons@wevv.com). Breakfast Is Gonna Be a Blast!